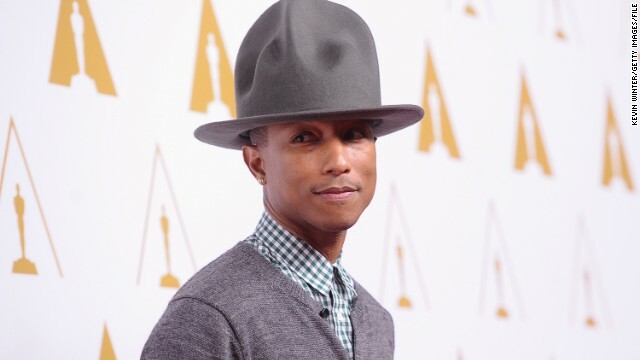 Since the Internet loved Pharrell Williams' Grammys hat so much, the artist has decided to sell it for a good cause. The eye-catching accessory spawned a slew of memes during the 2014 Grammy Awards, when Pharrell rocked the Vivienne Westwood-designed cap from the red carpet to the stage. The producer/singer/songwriter/rapper was able to take the ribbing that followed with a good sense of humor, and continued to wear his "Mountain" hat to other events, including the NBA All-Star Game in February. But alas, Pharrell's love affair with the high-fashion item has come to an end. At 8 p.m. ET on February 20, he decided to auction off the hat on eBay to benefit his non-profit that supports at-risk youth, "From One Hand to Another." Bidding started at $200, which is the price Pharrell paid when he purchased the item. At the time of this writing, bidding was nearing $12,000. Bids can be placed through March 2. Yes, that is an eye catching hat. (lol) Good cause, glad it's doing well.